Here at Eckler’s we don’t just sell parts and accessories for Classic Chevys– we also own, drive, and work on them. Being one of several employees who owns a classic, I can say it is our passion to help you with your restoration needs, whether it’s a tech question or helping you choose the right parts. The classic car bug started for me when I was just a young kid. I remember my dad always wrenching on old cars. He owned several classics, such as Camaros, Buicks, and Mustangs. I remember how much joy that brought him when he was playing around with those cars. I can’t count how many times we pulled up to the local grocery store in his 1941 Buick coupe, and out of nowhere people were coming up and admiring the car and telling stories of their classic cars. And nothing beats all the thumbs up we would get from other drivers cruising down the road. How cool was that! It was like being a rock star every time we went for a drive, and that is what started it for me. At age 15, I acquired a 1976 Corvette from a family member. That car needed a lot of work to make it drivable. I spent countless hours after school working on it. I still remember going around the neighborhood with a lawn mower looking to earn extra cash mowing lawns to help pay for the parts. That was a lot of lawns, because Corvette parts were not cheap. My 16th birthday could not come fast enough– I had to drive this classic on the open road! I still savor those memories. Throughout the years, I have owned and restored several classics. But as life’s journeys take place (such as getting married and having kids), the hobby was put on hold for a little while, but it sure wasn’t forgotten. I quickly learned that buying diapers was more of a priority than car parts. Plus, I could not convince my wife that a child’s car seat works just fine in a classic car. Life’s journeys take place, but don’t let that get in the way of your passion for classic cars. My dream car has always been a Tri-5 Chevy, but owning one these days can be challenging and expensive. Some people will buy them fully restored, but that can be costly and you will miss the joy and satisfaction of knowing that you brought this car back to life. Building one yourself will always make you appreciate your classic even more. 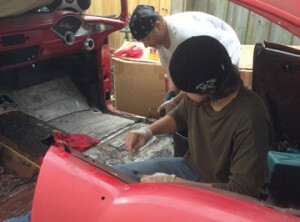 I recently acquired a 1955 Chevy 2-Door Sport Coupe project and would like to share the restoration process with you. The first installment is on pages 36 and 37 of this issue. 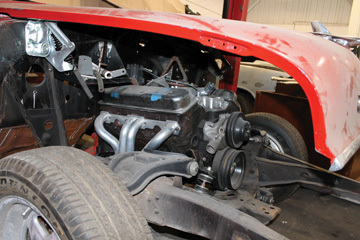 In each issue of Chevy Classics magazine, we’ll update you on the progress of this car. 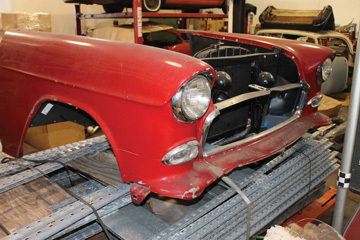 There are still several project cars out there looking to be brought back to life, and Eckler’s strives to make sure the best quality parts and service are available for your restoration.